Bathing a newborn is quite overwhelming at first. Newborns can’t smile (so you have no idea if they like it or not), they can’t hold any part of their body up, and they don’t have any natural instincts to close their eyes to make sure that water doesn’t get in there. I would first like to point out that you should not be giving your newborn a bath unless their umbilical cord has fallen off. Also, if you are circumcising your child you should not be bathing your child until a week after this procedure. Once your child has been given the green light you are able to bath your little baby. Here are 7 tips to help you feel a little bit more at ease when you are ready to bathe. Parents are known to over bathing their children. Every time they are dirty they get thrown into the tub and scrubbed down. If you are over bathing it can make their skin incredibly dry. It might be tempting to bathe your child every time they have a gross yellowed poop blow out, or every time that they puke all over themselves. This is where it is perfectly acceptable to grab a wet cloth and wipe them down. No need to bust out the soap and water just yet. In fact, many studies show that one bath a week is perfectly acceptable. I LOVED my baby bath. There are so many different baths on the market, but my favorite was definitely my favorite. It was mesh and they could sit up. 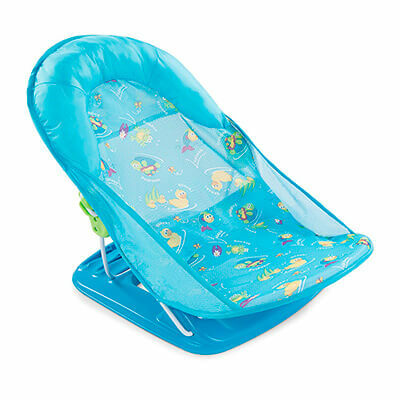 I have one like this and my babies have seemed to really like it. I don’t like just placing the baby on the hard tub bottom and newborns get a little freaked out if you just lay them down in water. 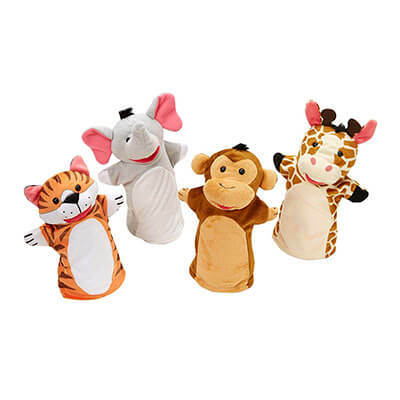 I am absolutely obsessed with these bath puppets. These are amazing. They lather up like a loofah and you can put soap on it. You can then scrub the baby down with a soft and fun character. Although your newborn can’t see very well and has a tough time getting enthused about toys and such, they will love a little bright colored character on their parent’s hand. This is essential when you are going to be giving your little baby a bath. It is time to find the perfect soap for your baby! There are so many amazing baby soaps on the market and I can’t tell you which ones are going to be the best for you and your baby. When I had my first baby everybody told me that I “HAD” to get the Johnson & Johnson Lavender baby soap. I am sure that this soap is great, but I am allergic to lavender and so this product obviously would not be the best. I would love to tell you the best soaps that I have come across to give you some ideas! We love the Aveeno Baby Wash. The Honest Company makes amazing soaps. Some other soaps are Mustela Stelatopia Milky Bath Oil, Johnson’s Baby Bedtime Bath (this is the lavender one that everybody recommended), Babyganics Baby soap and Burt’s Bees Baby Bath are some of the best soaps. If this is your first baby you will be completely surprised by how concerning baby cradle cap really is (peeling skin on the head) and baby acne. My oldest had SUCH bad acne and it was really horrible. It was also really difficult not to play with. You are not supposed to pick at their skin. While giving them a bath it will be very tempting to try to scrub off the acne or cradle cap. Let it be! Don’t scrub. This is a natural stage and they will get over it gradually without you interfering. If I were able to give one piece of advice to any new parent it would be to fill up the bath before you put your child into the tub. The water never comes out the right temperature. It either comes out too hot or too cold. Either of these will make your baby scream bloody murder and you will then have to calm them down. Now, they are forever traumatized by bath time. Make sure that the temperature is exactly where you want it to before adding your baby. We also have some awesome bath tools to help you figure out the perfect temperature. 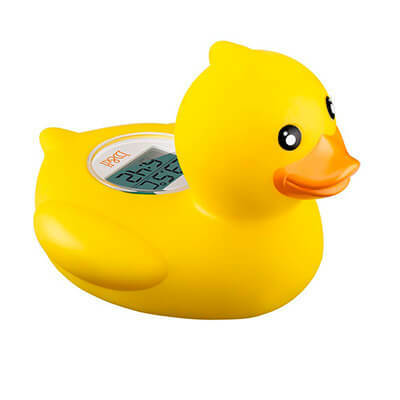 We own a duck that makes a comfortable bath temperature for your baby. No, your baby doesn’t move. No, your baby can’t roll over yet and so you think that everything is fine. However, you will never want to leave your baby alone. When my first was born he was born with a head that measured the same size as an average 3-month-old. If his head tilted even a little bit his whole entire body would flop over. In fact, this happened even when he was 6-7 months old. Never leave a baby unattended in a bath EVER! Don’t be afraid to bathe your newborn. I know it is a little overwhelming and you are terrified that you are going to break your baby. Your baby is going to be fine. You won’t let your kid drown and so you should feel safe. Your baby has no idea if you are doing it “right” or “wrong” and so just do what feels natural. I hope that these tips help you when bathing your baby.